After the disastrous reunion tour of 2004, Van Halen again went into hiding. Nothing really seemed to change for the once mighty and cohesive group. There seemed to be such a long time where nothing but silence was observed from the group. Barely anything seemed to come out of this. In 2006, some changes occurred, however. Firstly, Michael Anthony, long time bass player of Van Halen was dumped from the band in favour of Eddie Van Halen’s son Wolfgang. For many older fans in particular, this seemed a criminal move. Why on earth would Van Halen do such a thing? The renewed Van Halen seemed to once again really understand why they were there for rock and roll in the first place. Turns out that from a logical marketing point, it was very clever. Although Wolfgang was only in his teen years at the time, he grew into the role very quickly. To this day, Wolfgang Van Halen has proven an excellent singer and bass player, and has ventured outside of Van Halen musically to do his own thing with other groups quite well. 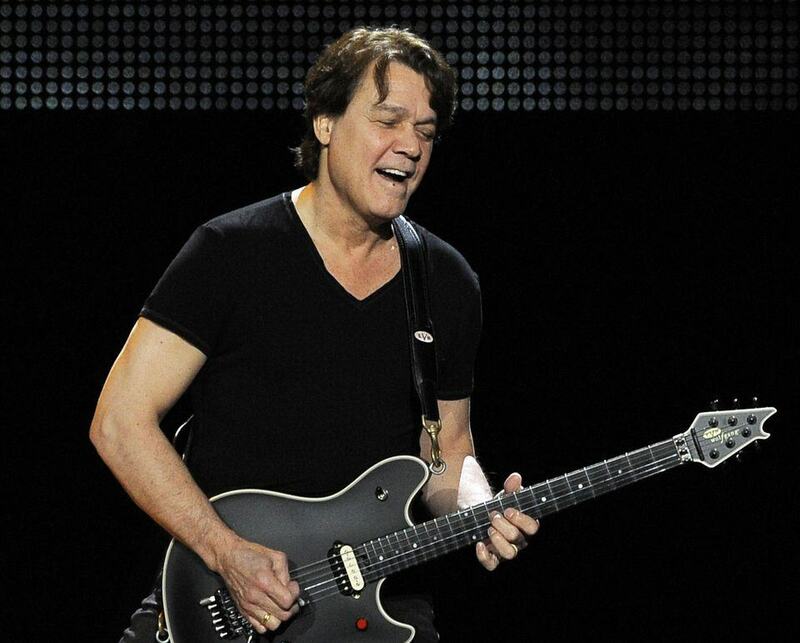 Although neither can be compared to one another, Wolfgang Van Halen perhaps seems more musically active than Michael Anthony ever really was in his own right in Van Halen. Once this had occurred, the three Van Halens worked on the next idea: David Lee Roth coming back to Van Halen. The question was though, how would it be done? 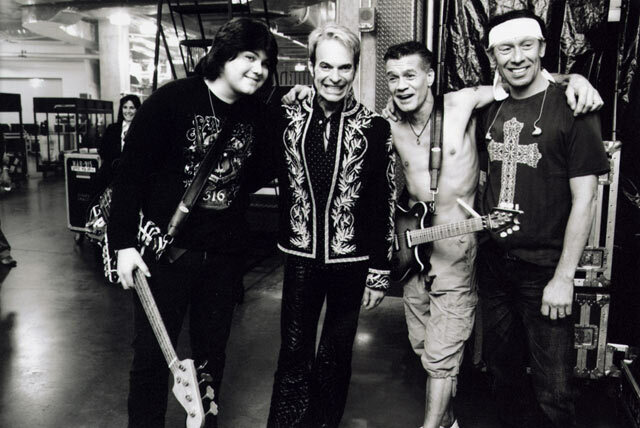 Strategically driven, Wolfgang Van Halen gave a call to David Lee Roth in 2006 and asked if he would be interested in rejoining Van Halen. After consideration, David Lee Roth said yes and rejoined the group. Although relations between David Lee Roth and the Van Halens are never perfect, the group of four are happier and more productive than ever. Also, Eddie Van Halen cleaned up his state of mind around this time. Inspired by his young son Wolfgang, he began a fight to overcome his addictions. Although taking one step back in 2007 by visiting a rehabilitation clinic for addiction to a substitute drug for alcohol, Eddie took two steps forward and is now alcohol free and much more focused. He also switched from smoking cigarettes to smoking an electronic cigarette in an effort to clean up. 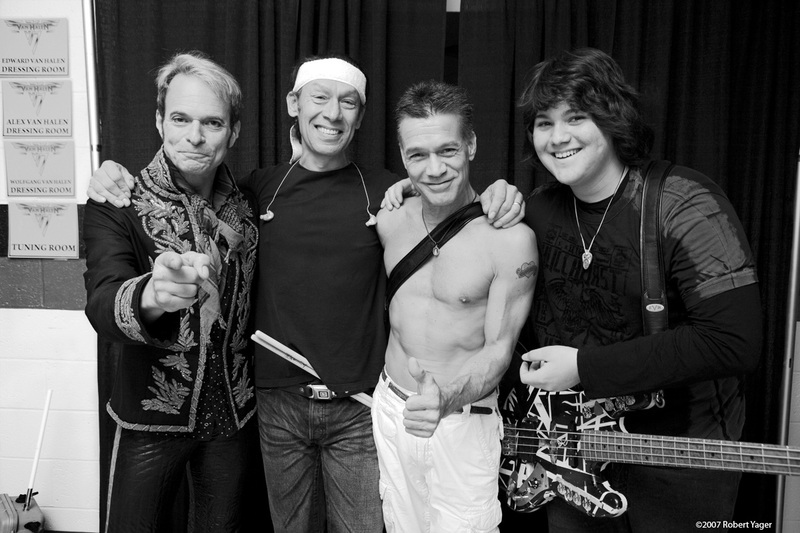 Eventually by 2007 Van Halen were ready to tour again and did just that. The tour of that year was a critical and commercial success, and gave Eddie Van Halen the chance to test his new Fender prototype gear along the way. This happened with a lot of effort, patience and understanding from the Van Halen fans in particular. But now Van Halen were on a definite up, and never looking back. Now that Van Halen were working properly once again, they fared very well with their contemporaries in music. This entry was posted in Guitar, Music, Rock, Uncategorized, Van Halen and tagged 2007, Alex Van Halen, David Lee Roth, Eddie Van Halen, Fender, Michael Anthony, Reunion, Wolfgang Van Halen on February 16, 2016 by chrisairey01. Nobody knew what really began the Van Halen downward spiral. A series of bad events unnerved the once great band that was Van Halen. It started as early as when David Lee Roth left the band in 1985. Sammy Hagar never really got along with the boys terribly well, although early on they shared some good moments together. Gary Cherone left as it really was becoming far worse than anybody could imagine. Eventually a call by Alex Van Halen after five years of no lead singer was made to Sammy Hagar. There was no real explanation why so, perhaps money was involved. But eventually Sammy Hagar met the boys at a rather notorious meeting at Eddie’s 5150 studios to sign a contract to release another compilation and to go on tour. 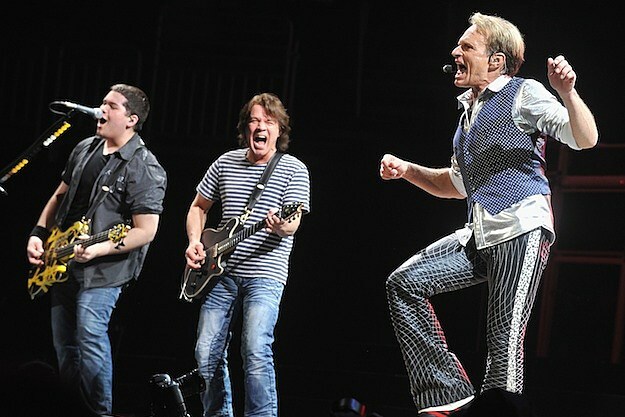 A happy reunion for Van Halen? It was a disaster waiting to happen. Eddie was certainly not in a good frame of mind at this point. Really, for many Van Halen fans, their days had gone. A reunion tour out of the blue did not seem very wise, and turned out to be a disaster. Although the tour was a financial success, from a musical standing point it was really very bad. The band performed well…except for Eddie Van Halen. Eddie constantly made mistakes and sung off key. But the worst part was how Eddie looked. He was totally drunk at the time, possibly taking drugs (many people who dislike Eddie personally called him “Meth Eddie” around this time), disheveled with black teeth and truly looked like a Frankenstein like creature. Sadly, for one of the greatest guitarists in living history he had lost it around this time. It was such a transformation that had happened gradually over time: from rock legend to living joke. 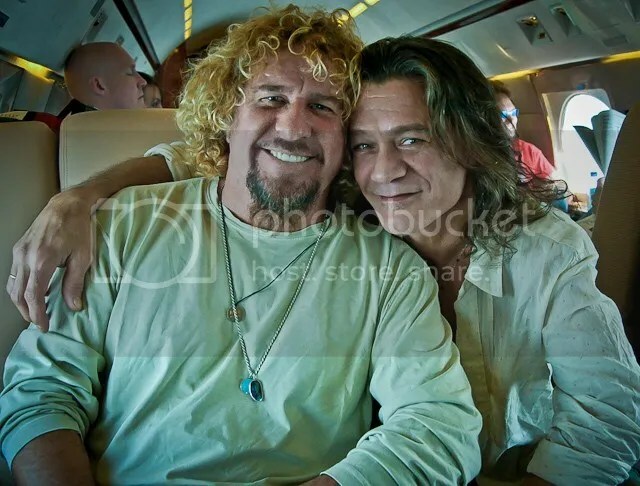 Sammy Hagar and Eddie Van Halen are definitely no longer friendly due to the events that occurred on the 2004 Reunion tour. It is no surprise that Sammy Hagar wrote a detailed autobiography after this tour due to the horrific events that occurred during this time entitled Red: My Uncensored Life In Rock aimed squarely at Eddie Van Halen, with some attacks also at Alex Van Halen. Eddie Van Halen was really messed up at this point. Also equally bad was Eddie ending his contract with Peavey in 2004. This was due to breaking contract negotiations with Peavey to sell and market instruments to other corporations, in Eddie’s case, the Charvel Art Series guitars. Also Van Halen had lost their contract with Warner Bros. in 2002 who signed them way back in the late 1970s. Eddie lost his long term wife Valerie Bertinelli in 2001 as well. In general, not a great time for Van Halen. Still, a compilation with three new songs was released, reminding people of past glories. But Van Halen were still not ready to be a band yet. This part of the Van Halen story will go down in rock history as one of the worst overall. The only way from here was up, however. The Best Of Both Worlds compilation was the only really good thing to result from the brief reunion. This entry was posted in Guitar, Music, Rock, Uncategorized, Van Halen and tagged 2004, Alex Van Halen, Best Of Both Worlds, Eddie Van Halen, Michael Anthony, Reunion, Sammy Hagar, Tour, Van Halen on January 18, 2016 by chrisairey01.